With getting popularity MS Office 365 avail new features and benefits to its users. Thus, both small and large entities desire to utilize Office 365 from other platforms, particularly Lotus Notes User. The reason behind migration Lotus Notes to Office 365is not merely difficult operating, but that causes several issues too. Furthermore, Office 365 executes swiftly such as emails and other tasks significantly better than other platforms. If you also desire to execute your tasks through Office 365, even still you’re utilizing IBM Notes and wanted to migrate Lotus Notes to Office 365. So, you must require to acquire some mandatory technical expertise tracts to transfer entire data stored in NSF file format to Office 365 successfully. So, don’t read other posts and fill your requirement with this penned one. So, here I put information which will describe you how to migrate Lotus Notes to Office 365 using IMAP Connector through a step-by-step process? Well, I’m also giving some reasons to migrate Lotus Notes to Office 365. So, read why should you replace Lotus Notes to Office 365? Why should switch Office 365? The transaction of Lotus Notes is not economically collated to Office 365 cloud platform. The MS Office 365 and Exchange Online avail exquisite functional traits for businesses. To utilize Lotus Notes required technical skills. The Lotus Notes is tough for the learner and requires acute learning. The Office 365 has an interactive and economic environment as collated to Lotus Notes. As I’ve told you the factor of Lotus Notes into Office 365 Migration. Here I’m going to aware you from disadvantages of Manual tracts. Demerits of Manual tracts by utilizing IMAP Server. There are several tracts have to follow for manually migration of Lotus Notes into Office 365. However, it’s not fullest beneficial for the execution of Lotus Notes to Office 365 migration. As Lotus Notes is active Proxy and Firewall that’s why it fails to make a link with the internet connection. In case, the Lotus Notes client cannot make establishment with IMAP connection if the Lotus Notes client resides in disable mode. The toughest thing you’ve to do is, you’ve to Calendar entries manually; because the calendar entries cannot be move with IMAP connector. The IMAP connector merely migrates online data of Lotus Notes to Office 365. There is a restriction on file size too. You will in case if you will try to transfer more than 1 GB. Because it has limitation transfer only emails to a limit of 1 GB. The IMAP need the high-level technical setup for the procedure, therefore user needs to apply several filters that are complex and quite expensive too. 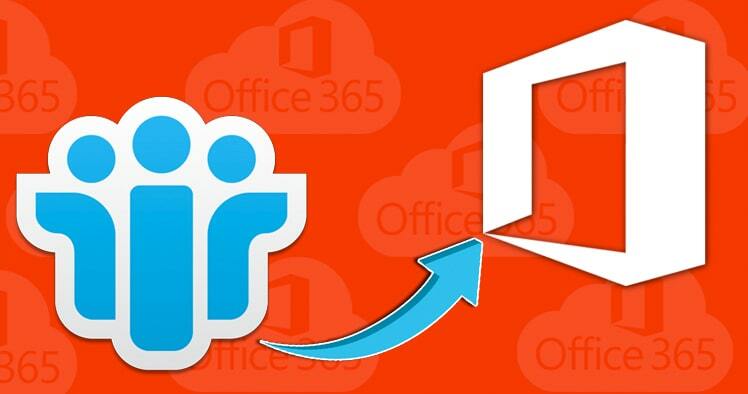 Prime Solution to execute migration of Lotus Notes to Office 365. Well, it is a notable advantage in reading my articulation. So, here I’m going to discuss you the proficient solution for the migration of Lotus Notes to Office 365. Because you’ve known of the problematic situation while doing the migration with manually process. Then, Go with Shoviv Office 365 migrator for Lotus Notes that make execution of migration swift, flawless and easy too. Migrate Lotus Notes to Office 365 with mere 10 simple Tracts. The first tract or step for the process is to Install and Launch Migrate Lotus Notes to Office 365 Software. For adding NSF files. To add NSF files, just do click ADD Local NSF files. To add a file, you’ve to browse file that you wanted to migrate Lotus Notes to Office 365. So, do click open after selecting the appropriate file you needed. Before migrating of NSF file you can see the entire NSF file. This awesome software avail you option to take glance by clicking on the Preview button. You can see any folder by clicking and can preview its content. For starting the migration task, simply click on the Migrate button. Then, Enter Office 365 Login credentials and click OK.
Then, set NSF files to Office 365 mailbox on Map automatically mode from residing source to target, and then click OK. Choose among the most exact filters to choose merely the desired data to execute the migration process. Then, select the mode of saving to save the file to Office 365 mailbox, then click OK. In fact, your migration is started do you want to quit, just put your cursor on Stop Button. Lotus Notes Migration is very typical tasks to execute manually. It required technical expertise about the platform. Hence, technical experts suggest utilizing alternate software to execute from Lotus Notes to Office 365 Migration. Let’s find out the most possible reasons for Lotus Notes to Office 365 Migration issues.